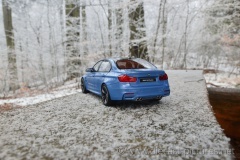 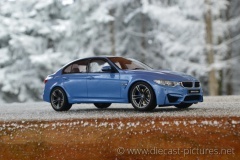 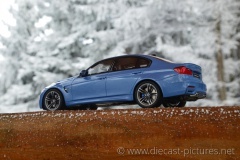 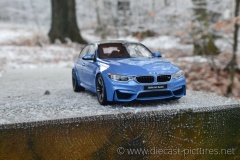 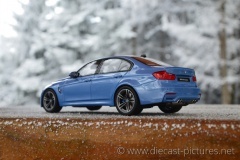 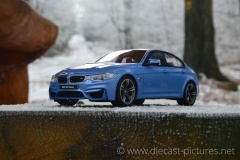 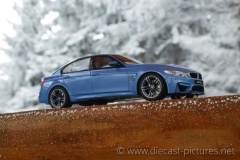 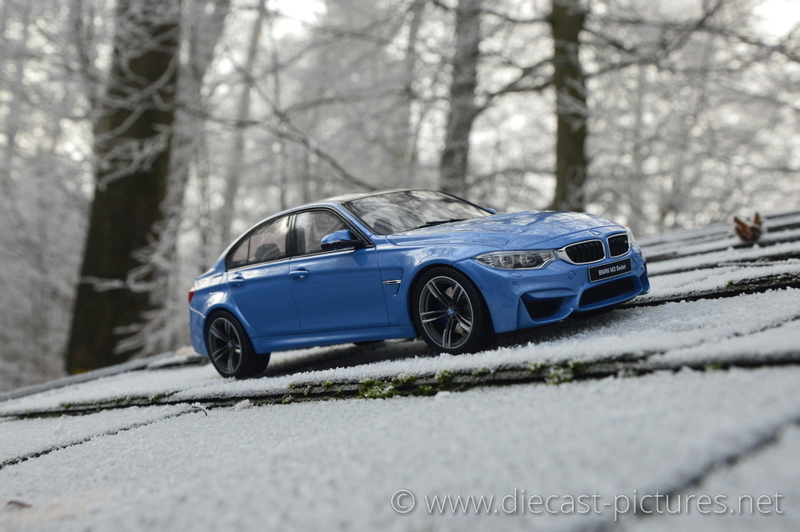 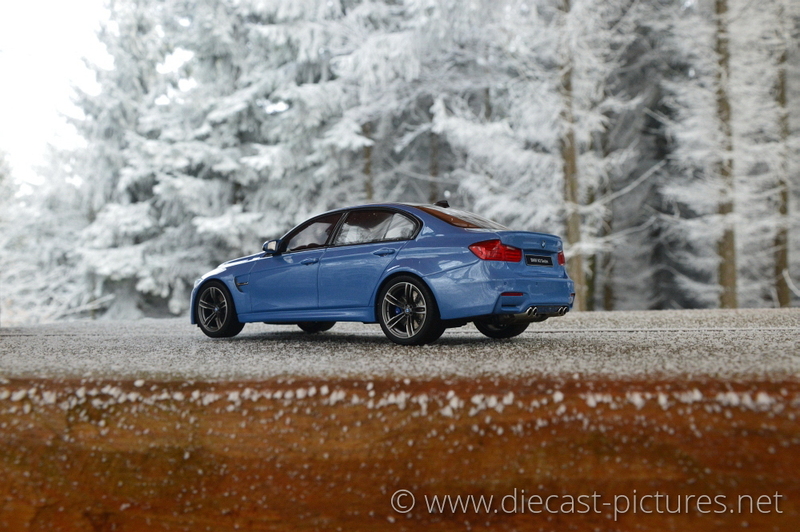 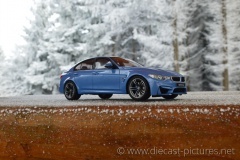 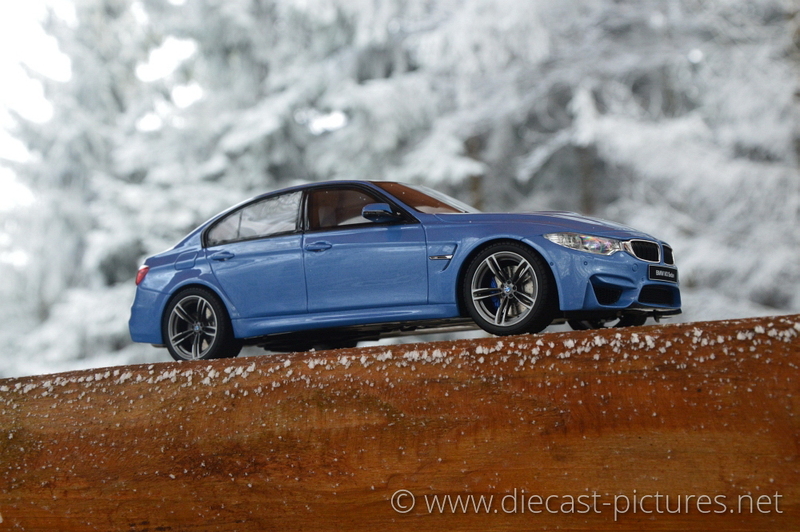 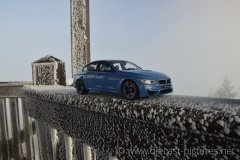 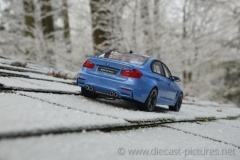 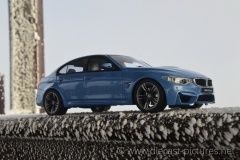 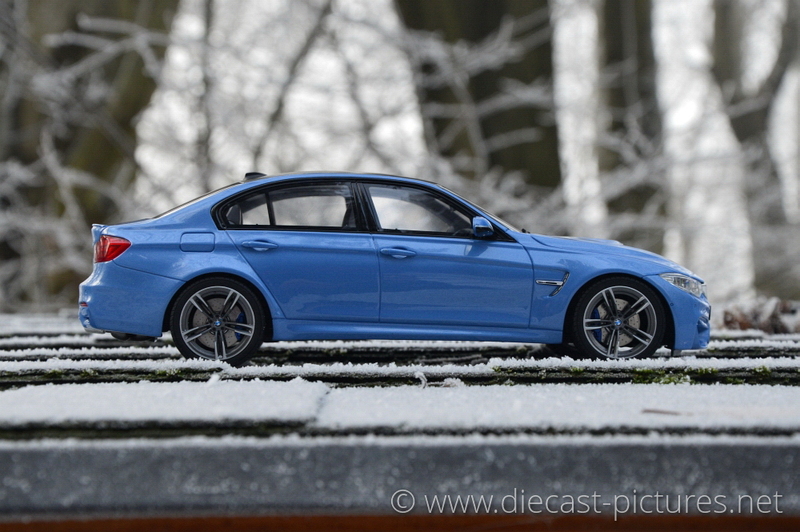 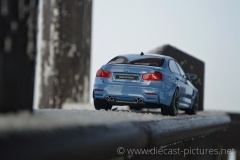 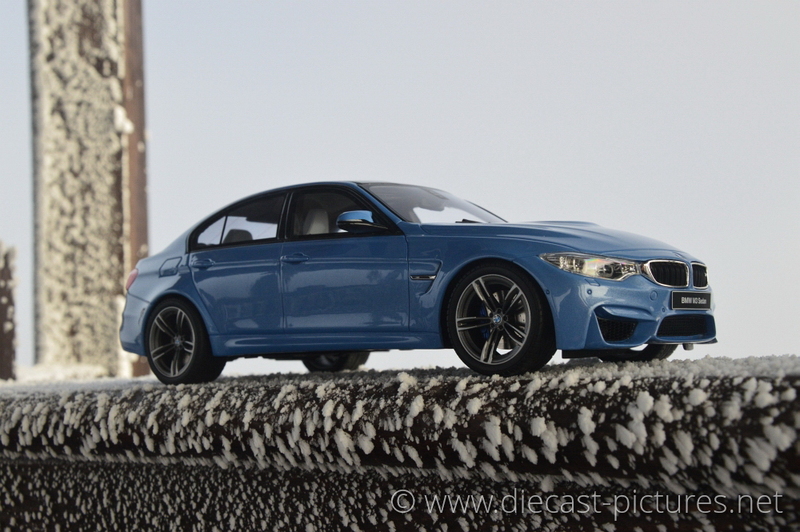 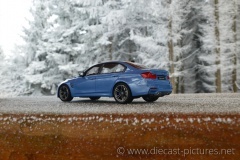 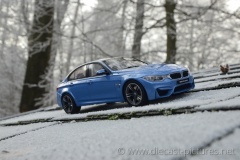 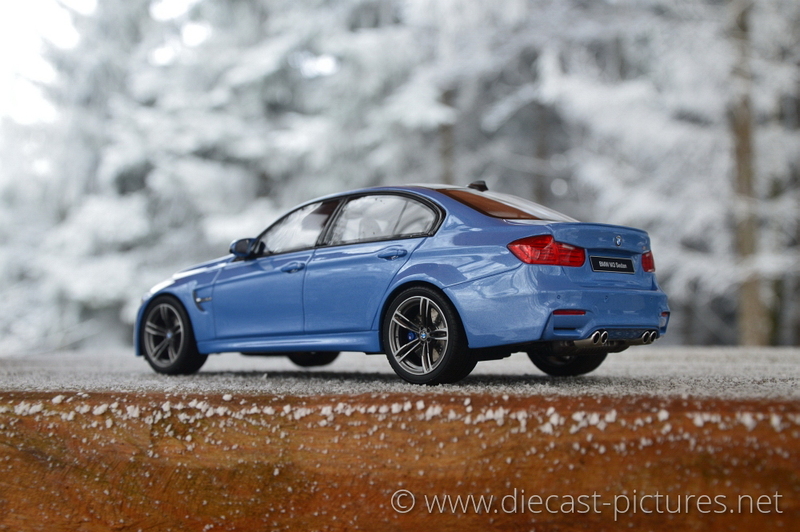 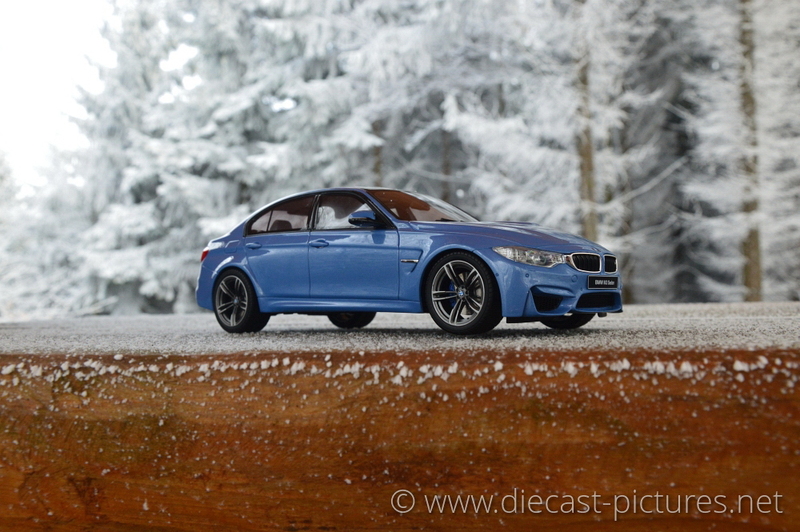 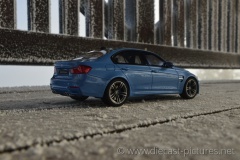 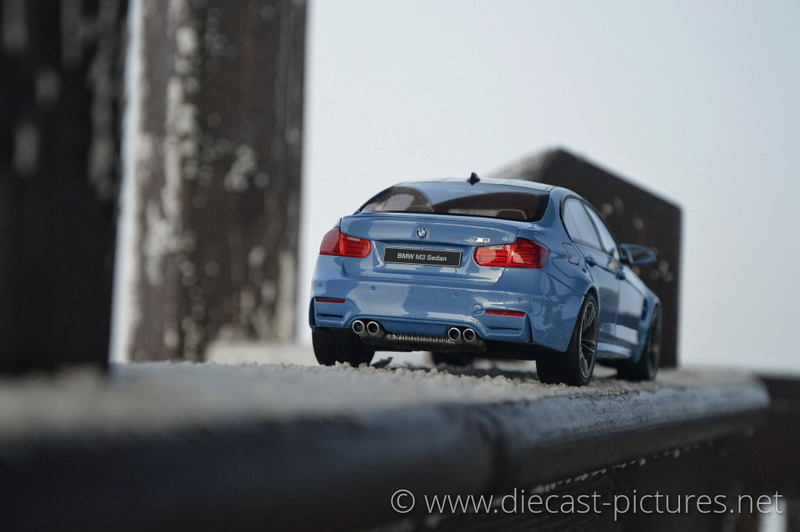 While a photographer was frozen to the bone, BMW M3 F80 1:18 was patiently posing in cruel frost. 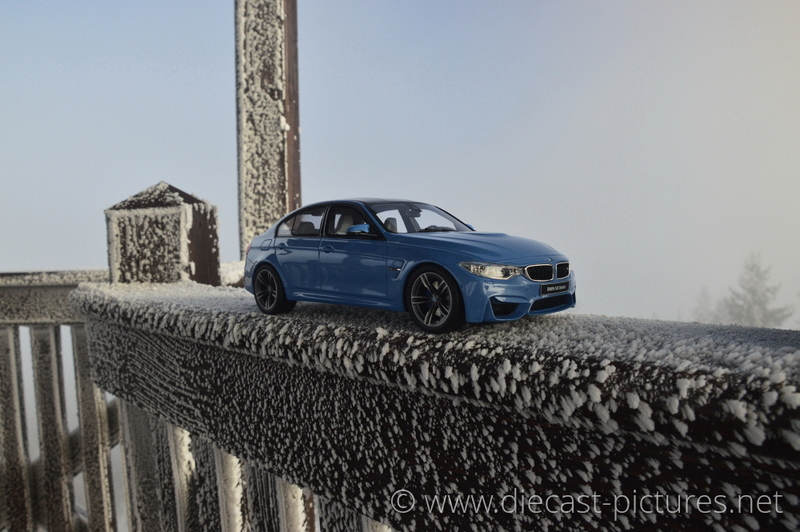 During winter time in The Krkonose mountains M3 (by GT Spirit) was caught by a Nikon len. 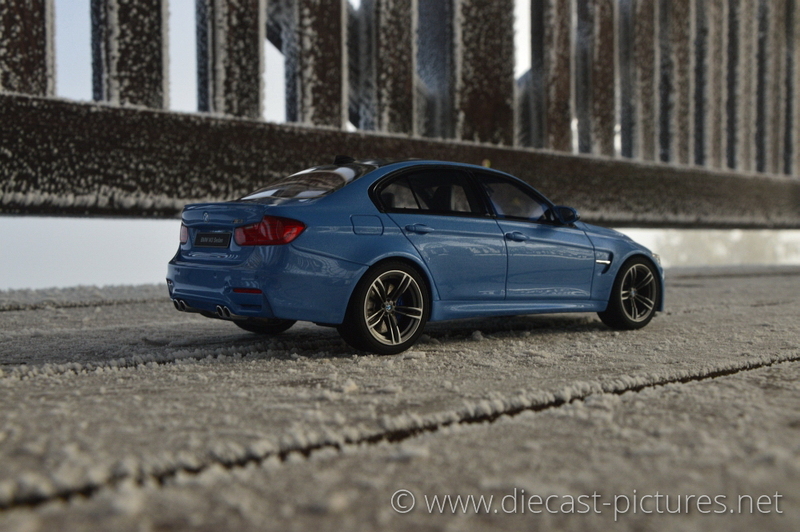 BMW M3 F80 is the fifth generation of M3 and she definitely represents her family very well. 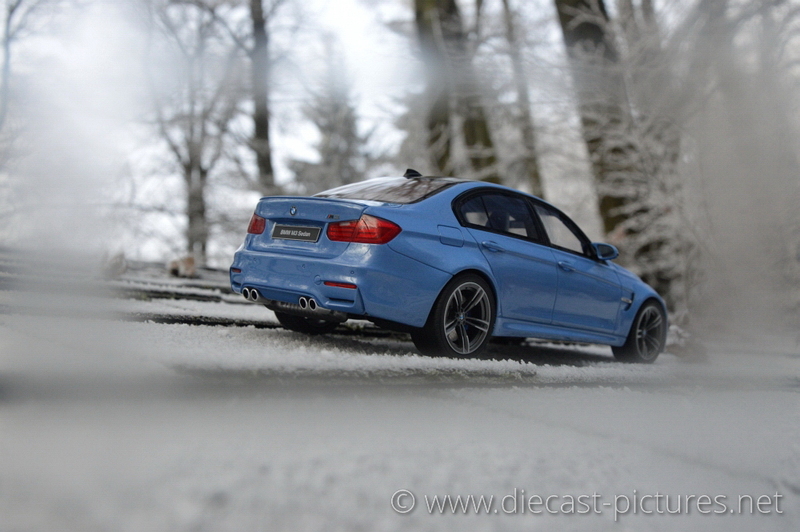 Sports and agressive look (tipical of all M models) remained. Sedan is the only version of this M3 you can meet and it looks undoubtedly gorgeous.